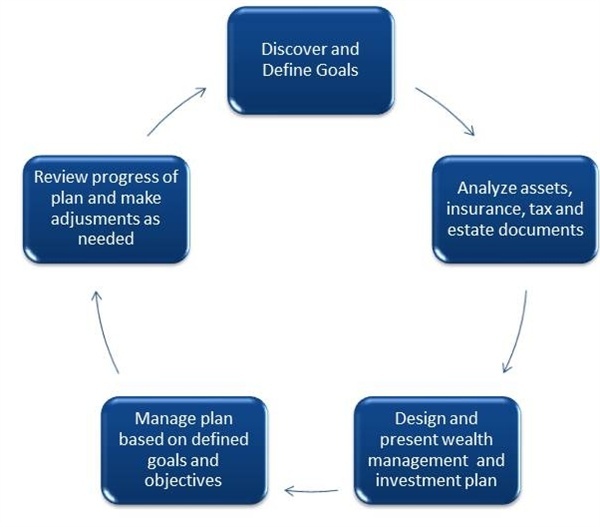 Our wealth management process is centered on taking a holistic approach to helping you reach your goals and objectives. We will meet with you to gather all of the facts that we need in order to assist you in developing a plan aimed at helping you with your goals and objectives. Wealth Vision is the platform by which we develop your plan by consolidating the information we gather in our consultations with you.